It is not too often that a TV show picks such a sensational song as "Hey Sandy" by Polaris to be its theme song. 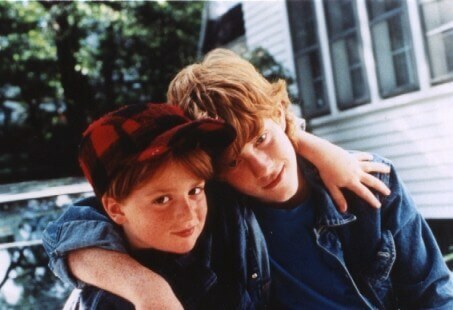 The Adventures of Pete & Pete was one of the few shows where I was actually disappointed whenever I missed a chance at watching the opening credits to a TV show. Where some could argue that Fresh Prince of Bel Air and The Wonders Years had a similar effect to them, The Adventures of Pete & Pete's opening credits never failed to create an uncontrollable urge to get up and start dancing. There probably was no greater debate on the minds of six to ten year-olds at recess in the mid 90s then trying to figure out the correct lyrics to this song. I even remember looking up the lyrics about five years ago and the contributor literally writing something to the effect of "[incomprehensible mumblings]" as one of the lines in the song. Not only did this create interest in the song and the show itself but also added to its legend. Besides when my mom would tell me that we were having macaroni & cheese for dinner, I don't think there were many more things that got me more excited when I was a little kid then seeing that lawn mover roll across the screen. It all really boils down to the fact that no other show in the 90s had a theme song that fit so well with a random bike ghost-riding down a ramp then this one, and for that very fact, I present to you the best '90s TV show theme song, "Hey Sandy" by Polaris.